Mark has completed negotiations with Jason, and we have agreed on the fee. ALBION LEGEND is expected to complete personal terms over the next couple of days and could be running in NSC syndicate's name within a week or so. Who'd have thought it back in January 2011 that we would go from zero to three dogs in such a short period of time. We want to arrange a meet up some time too. How about up at the new kennels one Sunday? Yes welcome to the Legend (kennel name Joe). 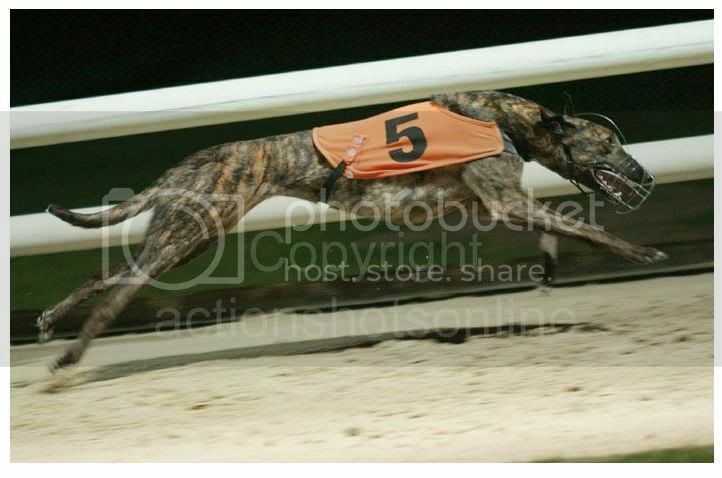 A little detail, he is a fawn dog, was 2 years old in April, has only had 3 runs in Uk all at hove, he is an inside runner, with nice early pace, and stays the 515m at hove , he won his 2nd race here in a time of 30.53 in grade A6, he was then upgraded to 5 and ran last night, trapping really well and holding the 6 dog(6/4 fav) until the 4th bend, the 6 dog going on to win in 30.20 which was the second quickest time of the night, with the legend coming in 3rd, expect to see some good improvement in him over the next few months as he is still very puppy and has a lot of muscle to put on. Spot on, reckon a meet at the kennels would be a good idea. Fantastic news come on the legend!!! I'm up for a meeting at the kennels.